Review Summary: One of the most unique voices in metal has found a new home. When Shayley Bourget left Of Mice & Men due to depression and personal issues, I was worried that it might be a while until he did anything with music again. His clean vocals and massive hooks were the driving force of The Flood, with his soaring melodies being a trademark of the bands sound. When he announced his new band Dayshell, I was immediately interested and excited that he was going to be a frontman of his own band at last. Luckily, Dayshell come out swinging on just about every track here. This self-titled debut album is one that shows a band playing to its main strength - Shayley's voice. You'll find his signature melodic vocals taking over everything here, and unlike Of Mice & Men where some songs turned into breakdown fests the music of Dayshell's debut album wraps around Shayley's vocals perfectly and focuses more on the atmosphere than the aggression. The frontman's many influences also shine through on this album, most notably Deftones, whom Shayley has stated in numerous interviews about Dayshell were one of his main influences on this record. Lead single "Share With Me" is a perfect example of how the music all comes together around the vocals, where Shayley creates a massive vocal hook in the chorus that makes the song both memorable and atmospheric. Even though the music here focuses more on the melodic rather than the aggressive, there are several moments on Dayshell that venture into heavy territory. "Edge of the World" and "I Owe You Nothing" are both tracks that show off Shayley's surprisingly capable screaming vocals, and while breakdowns do show up they are well placed and used sparingly. Tracks like "Avatar" and "Aimless" also show off drummer Raul Martinez' skills and how effective the rhythm section is. The acoustic moments are a welcome addition to the record and album highlights, with "A Waste of Space" having one of the best soaring choruses on the entire record. 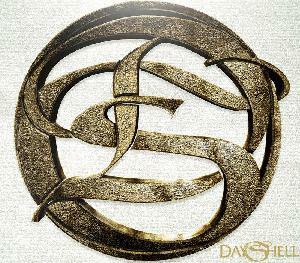 With their self-titled debut album, Dayshell prove to be the perfect outlet for Shayley Bourget's melodic vocals. The songs are strong and show much promise for the future, and fans of Shayley's work with Of Mice & Men will be glad to hear him taking over the songs fully. Focusing on atmosphere and hooks, the elements that once restricted Shayley are now gone and allow for his potential to be fully realized. If the band expand on this sound and experiment even more on future releases they could have something truly special. One of the most unique voices in metal has found a new home. Glad you guys are liking this, Shayley is a great vocalist. I'm kind of surprised this might be good. I saw them live and they were atrocious. His singing was pretty terrible and they didn't have any stage prescience either. By the way, good review. yeah i could never get into Of Mice & Men for whatever reason, but this really clicks. He was the best part of OM&M, but this is an absolute chore to listen to. Like, I really appreciated how well he complimented Austin, but just Shayley gets grating really quickly. hesitant to check this out, band seems pretty boring. based on what you have in your favorites, you would probably find them boring.